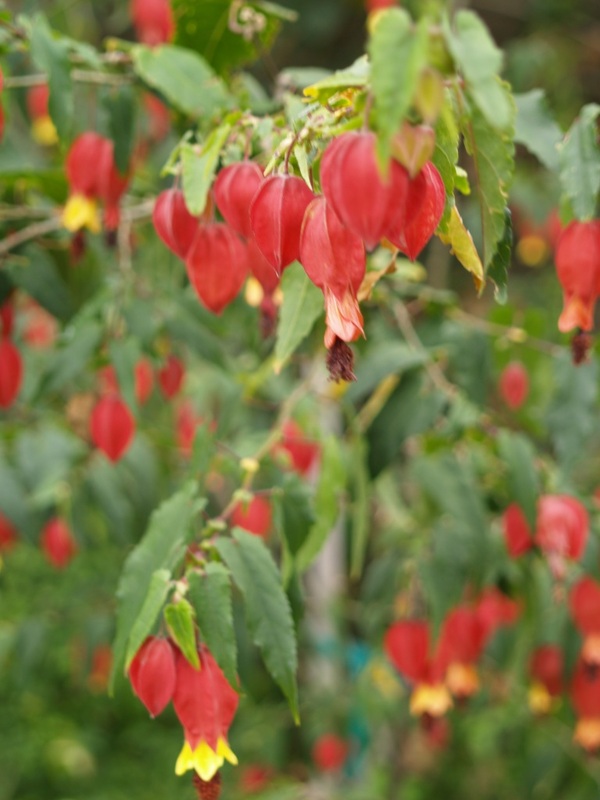 Notes In California\'s Central Valley and surrounding foothills, hybrid abutilons will grow well outdoors all year if given protection from both hot sun and frost. Whether you grow them in containers or in the ground, remember to water and fertilize your plants regularly for the best foliage and flowering. Water regularly during dry periods. Protect from frost and cold winds. Check for snails and slugs. Buy plants in bloom to get the color and flower shape you want. Plant in rich, well-drained soil, using plenty of soil amendment. Choose a partially shaded spot that is protected from hot sun, strong winds, and frost. Fertilize once a month with an acid-type water-soluble plant food. Prune to shape just before main spring growth starts. Maintain a good layer of mulch to increase humidity and keep roots cool and moist. Check for snails and slugs. Watch for whitefly and scale insects. Control snails and slugs. Spray the undersides of the leaves regularly with water to discourage whiteflies. Control ants to stop scale infestations. Cut back and move established plants, if necessary. Water regularly during dry periods. Spray foliage with water when you water to increase humidity and keep leaves clean and healthy. Propagate by taking stem cuttings of hardened-off new growth. After you take the cuttings, remove half the leaf surfaces and any flowers on the cuttings, which should speed rooting. Protect from strong sun and hot winds.